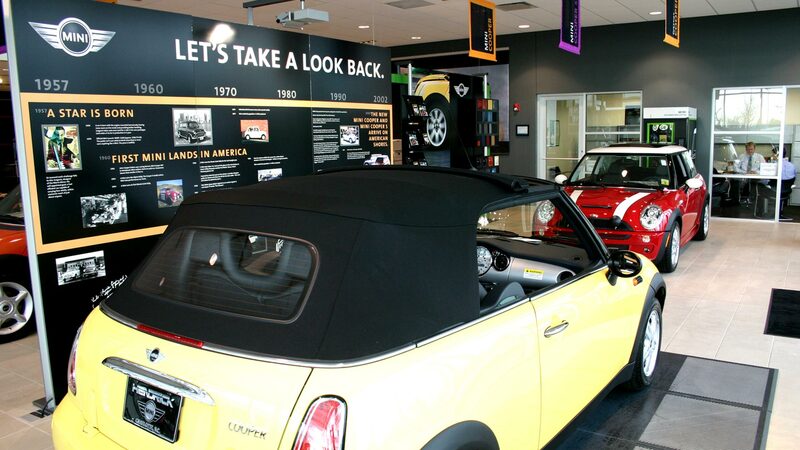 Hendrick Mini is Charlotte’s first Mini store and marks the much anticipated arrival of Mini Coopers to the Charlotte area. REDLINE was commissioned to provide an extremely economical and somewhat temporary facility to allow the client to acquire the dealership, yet provide for the need to move in just a few short years due to development of Independence Blvd. The solution was a “matchbox” dealership that highlights the brand’s elements of color and simple lines and box features that help frame the vehicles on display. 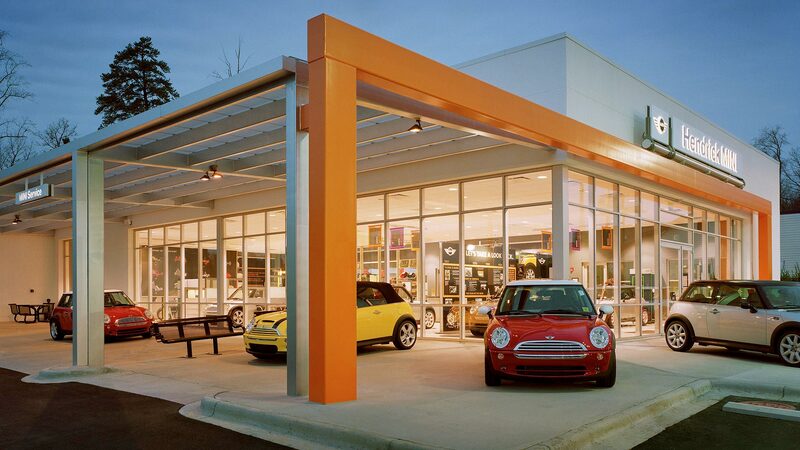 The exterior facade utilized an oversized steel tube box to frame the showroom and draw attention to the vehicles while allowing the simplified building to be a background element. 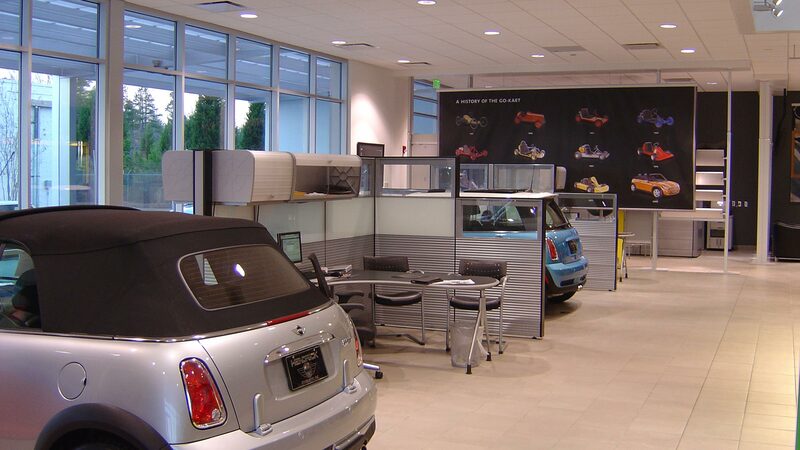 A translucent customer service canopy and extensive coffee bar/lounge provide the Mini shoppers and owners a place to relax and enjoy the Mini Motoring Lifestyle. 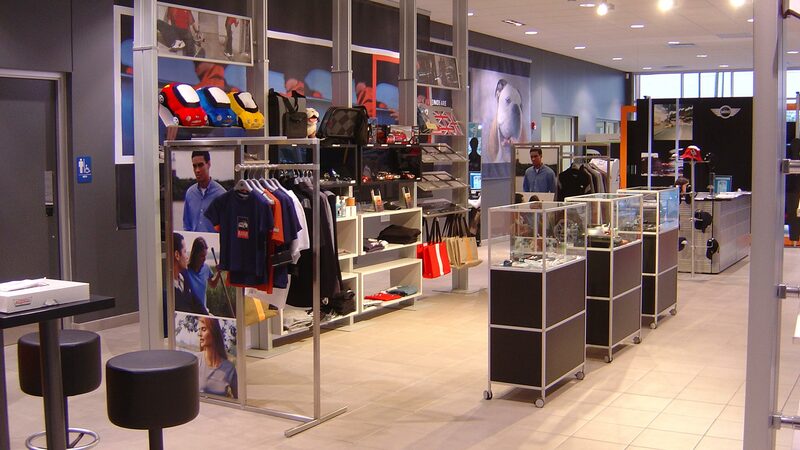 The showroom features a large central skylight to help energize the already colorful showroom with its modern marketing elements and graphics. The result is a fun, light-filled environment that helps echo the exact experience of driving a Mini off the showroom floor.